LED Linear Grow tube with light spectrum optimized horticulture Sunplus 3535 SMD LEDs for higher yields and lower operating costs. Ideal lighting for Micro greens, lettuce and seedlings, the low profile light tube allows for a great utilization of growing space versus traditional T8 and T5 fluorescent light fixtures. 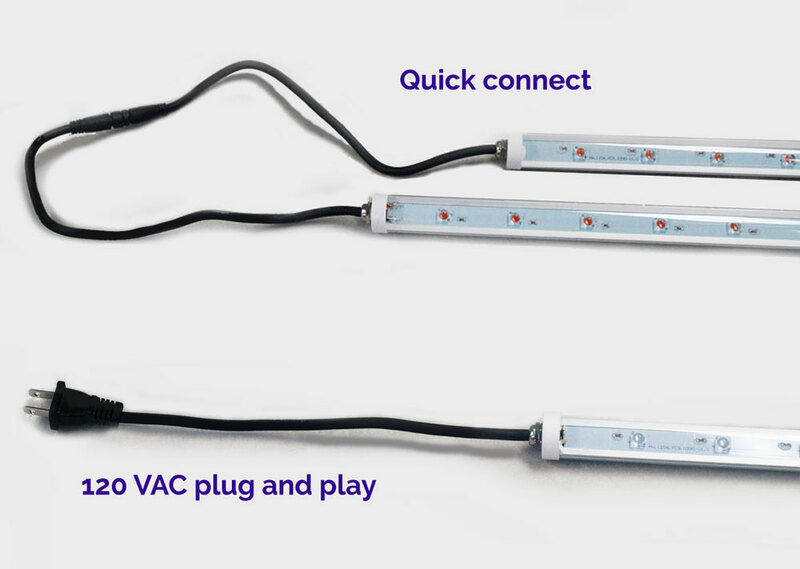 Using standard 120VAC, the light is linkable to other Grow tubes without bulky LED drivers and wires. 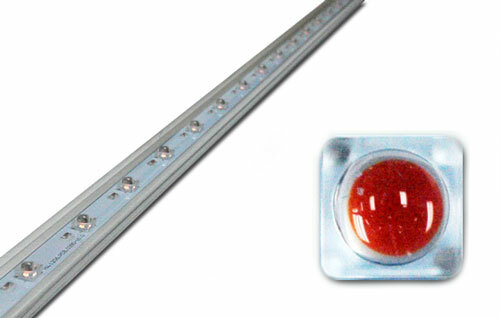 The Linear LED Grow Light use less energy, generating almost no heat while lowering cooling costs and production costs. Optional 25%Blue or 12.5% Blue Sunplus 3535 SMD LEDs ideal for Micro greens, lettuce and seedlings. Sunplus 3535 SMD LEDs PPF/W highest umol/J per watt. Direct 120VAC powered & Linkable. Multiple light mounting configurations for various horticulture applications. Abatable in two grow spectrums (12% & 25% Blue). Proprietary configurable track mounting for space utilization. Shorter production cycle using less energy.